The highly anticipated completion of West Hampstead Square has been a long time coming, but with the haberdashery, Provenance Village Butcher, extensive leisure facilities and the buzz of the arrival of Marks and Spencer, it seems that the six block dream masterpiece is finally a reality. Without a doubt, the local economy will benefit massively from the opening of the Complex, but local residents remain slightly apprehensive because of the predicted people traffic it will bring to the area. However, they need not feel this way. With West Hampstead’s resident levels constantly on the rise over the last 5 years (Beaufort Court, The Ivery, The Central to name a few), it is evident that we are expanding at such a rate that we can keep up with the new occupants that West Hampstead Square introduces. 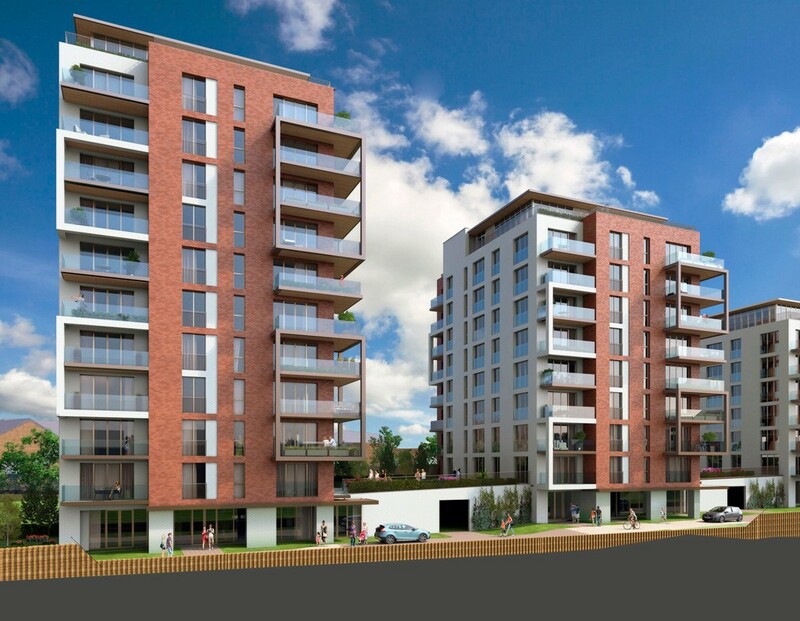 With West Hampstead’s ample travel facilities, we have found that many of the development's apartments already sold off-plan and are thought to have gone to working couples and families. As it currently only takes 8-12 minutes to reach the city on the Jubilee line from West Hampstead, you can see why this Complex has such a pull factor to these certain individuals. At Paramount Lettings, we suspect that any properties we let in these blocks will appeal to such applicants too. The Overground station is currently undergoing works to build a new entrance nearer the site to allow more through traffic, wider platforms to accommodate more commuters and alternate entrances to the platform to reduce congestion. Many new restaurants and shops have opened in the area over the last 12 months in anticipation of the new development. For instance, the shop ‘COOK’ caters specifically to the working individual producing home cooked frozen ready meals, providing healthy and easy dinners at a relatively low cost. Bearing in mind West Hampstead’s main hub is West End Lane, lined with its many cafes, bars, shops, hairdressers and supermarkets, it is inevitable that these amenities will become busier as they become highly sought after, bringing sustainable economic growth to the area. Whilst this is brilliant for local business, bear in mind that your favourite restaurant along the high street will probably require an advance dinner booking unless of course, you’re happy speaking to your new resident neighbours at the bar while you wait! There's a whole host of things going on in North West London this month, you'll be spoilt for choice. Spring is finally upon us and the warmer weather is on its way, London is always extra beautiful in the sunshine! The Sherriff Centre is a unique charity based community centre in the heart of West Hampstead with some great concerts coming up.